Visions of “Bridges of Madison County” come to mind when describing the Top 10 Rural American Icons. Covered bridges over clear rivers and rambling farms that stretch as far as one can see make up the landscape that is rural America. From the ranches of Montana to the quiet burg in Vermont, you will find these top 10 classic icons throughout the rural landscape of America. Starting the list out at #10 is the riding lawnmower. You just don’t see these often in the city with the exception of a groundskeeper that maintains large apartment complexes or businesses. 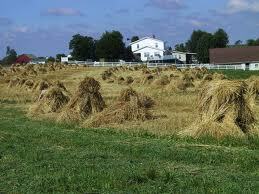 Most people living in rural areas have large, expansive yards and the riding lawnmower is a necessity. Many city kids remember the John Deere logo decal on grandpa’s lawn mower, and the driving on his lap – synonymous with a summer in the “country.” Soup up this garden tractor and you can join in on the lawnmower-racing craze! 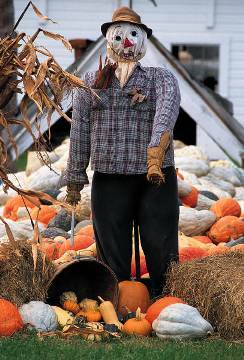 The scarecrow has long been a symbol of thriving country gardens and cornfields. Ever vigilant, the scarecrow is complete with straw hat, gloves and hand-me-downs to keep thieving crows away. Drive down any rural country road and you will find this rural American icon doing his job. The corner drugstore is still alive and well in rural America. At corner drugstore, you can get prescriptions filled, purchase household items and enjoy an ice-cream sundae. 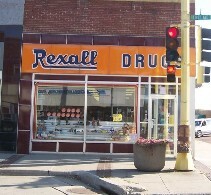 The drugstore owner knows everyone in town personally and there is no standing in long lines! 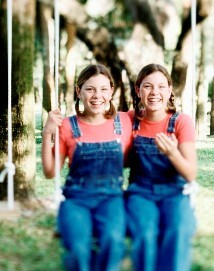 The first outfit that comes to mind when thinking about rural attire is the classic overall. Practical and all-purpose, there is nothing more durable than this one-size-fits-all outfit. Just let out the buckle at the top and the overall grows with the kids. Ingenious. Haystacks are the landmarks of a country drive, immortalized in rural paintings from almost every country and done best by Claude Monet. This image is unmistakeably iconic. Drive into any rural town and you are most likely to see this welcoming site. You can’t mistake where you are with the name of the town brightly painted on the side of the tower. 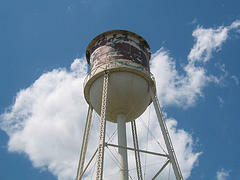 The water tower is such a staple that unfortunately it is often sabotaged in many a western movie! 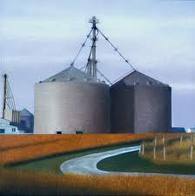 Whether sitting in town at the grain elevator or out in the country, silos pop up everywhere in rural areas. When these are full of grains, it’s a sure sign that the cows will be fattened and cereals and bread will be on the grocery shelf. A win-win for everyone. It doesn’t get anymore iconic than this…the classic red barn that can be found from coast to coast. For storing equipment, housing livestock and the winter’s hay, the barn ranks right up there in importance with the main house. 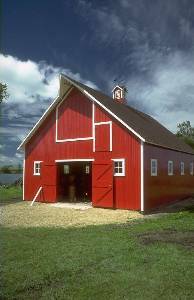 Traditionally neighbors have gotten together to help each other with the “barn raising” and has been a symbol of community spirit. 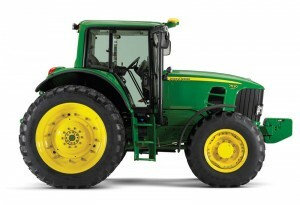 At #2 on the list is the tractor. The tractor is the “work horse” that took over for the horse and plow years ago. The tractor makes working in the field more efficient. 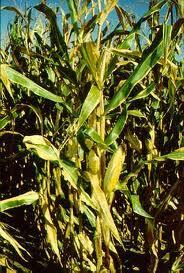 You can see them hard at work on farms and ranches across the country to grow crops and hay for livestock. John Deere’s green and yellow are a color combination that means hard work across rural America. Retired tractors sit next to the barn, part of a classic rural American scene. Miles and miles of dirt roads describe rural America. At the top of the list of rural American icons, gravel and dirt roads come in at #1. 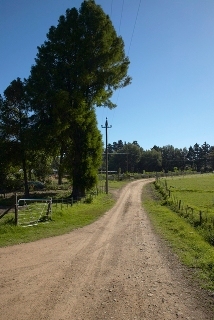 Dirt roads leave their distinct trail of dust, even after a vehicle is a mile down the road. The beauty of driving off the beaten path when on a dirt road is that they lead to some of the most remote and fascinating spots you can imagine in the country. You won’t find that doing 75 mph on the interstate.